CLARK COUNTY — It was a good showing for Clark County this past weekend during the Miss Washington contest in Burien. 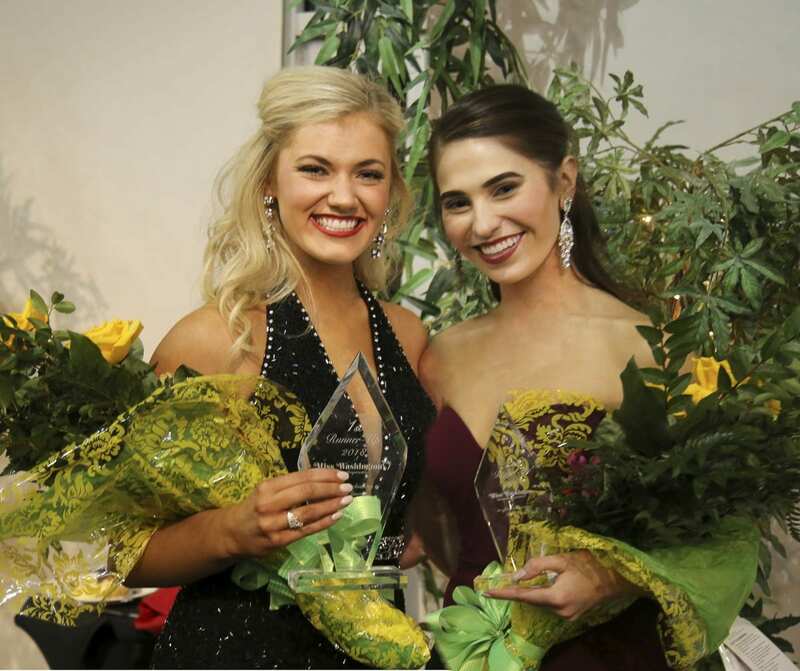 While Danamarie McNichol-Carter of Spokane took home the crown, two Clark County natives finished as first and second runner-up. Miss Rainier, Abbie Kondel, finished as first runner-up. The Brush Prairie native was last year’s Miss Clark County. She’s currently going to school to become a nurse practitioner specializing in dermatology. Kondel receives a $2,500 cash scholarship for finishing second, and would take over as Miss Washington if McNichol-Carter were unable to fulfill her duties. Second runner-up went to Kallie Hutchinson, the current Miss Clark County. The 18-year old will be attending New York University’s Tisch School of the Arts this Fall, with a goal to eventually dance on Broadway. Hutchinson receives a $2,000 cash scholarship as part of her prize. McNichol-Carter will head to Atlantic City, New Jersey for the Miss America pageant on September 8th. It’s the first year the pageant will not feature a swimsuit competition as the world of beauty competitions tries to modernize for the times. The Miss America organization says looks will also no longer play as strong a role in picking the winner from now on. Clark County has a couple of winners as the state’s Miss America pageant season kicks off this weekend.